I started Challenge Applications shortly after departing active duty from the US Army in 1993. After serving in the First Gulf War, I wanted to do something that brought people together, like I learned to do as an organizational leader in the military. I am proud to have served and cherish every minute I wore the uniform. After my service in the Army, I was teaching in Tacoma when parents who were chaperoning one of my rock climbing classes recommended I start a training company. That sounded intriguing, and so it began. The company was a side project up until 2002 when I ramped it up to full-time and started training nationally. I am "mind-numbingly" passionate about working with people in small teams. The capability of a small group is extraordinary whether a squad of soldiers, high school student body leaders or executive team for a county agency, the power of 6-12 people gathered with a laser beam focus is where the tide of change and influence can happen. Working with people is so rewarding. I hope you and I have a chance to talk about ways I can help your team become a better version of itself. Send me a message. I have assembled a diverse community of facilitators, subject matter experts, designers and consultants to provide a deep well of knowledge and experience. This team stretches from coast-to-coast, and I am honored to have such talented people on-board. Mario Villanueva, Senior Consultant. Mario handles sales, marketing and assists with coordinating special projects. He leverages his previous employment experience as the Director of Washington USDA Rural Development Program, an appointment by President Barrack Obama. 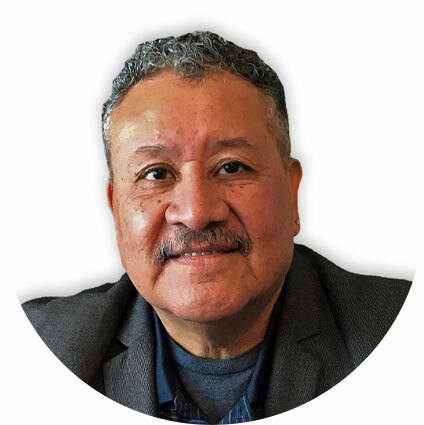 Mario served in the administration for eight years, then launched his own business to support rural communities throughout the Pacific Northwest. He is a master at networking and getting things done. Mario plays guitar professionally in his spare time, enjoys traveling with his beloved wife and visiting his wonderful grandchildren. He lives outside of Olympia, WA. Linda Saarela, Master Trainer. Linda is a full professor at Pierce College in Puyallup, WA in the Business, Management and Marketing Departments. She has served as a senior consultant and corporate trainer for over 25 years specializing in leadership development. Linda designs hybrid and online learning programs as well as facilitates training, workshops and retreats for Common Ground Learning and Challenge Applications. Linda loves reading, listening to educational podcasts and walking with her dear husband. She lives in Puyallup, WA. Jon Anscher, Facilitator and e-Learning Specialist. Jon currently serves on staff at the University of Washington as Director of UW Medicine Learning Gateway. His expertise spans e-Learning, corporate leadership, small team effectiveness and application of adult learning strategies. Jon is an avid outdoorsman. He and his wife can be seen hiking the flanks of Mt. Rainier, especially in the winter months. Jon lives with his family near Seattle, WA.